Written with complex, moving insight by Polly Phokeev and directed with sensitivity and detail by Mikaela Davies, How We Are explores the consequences of taking a friendship to the next level. 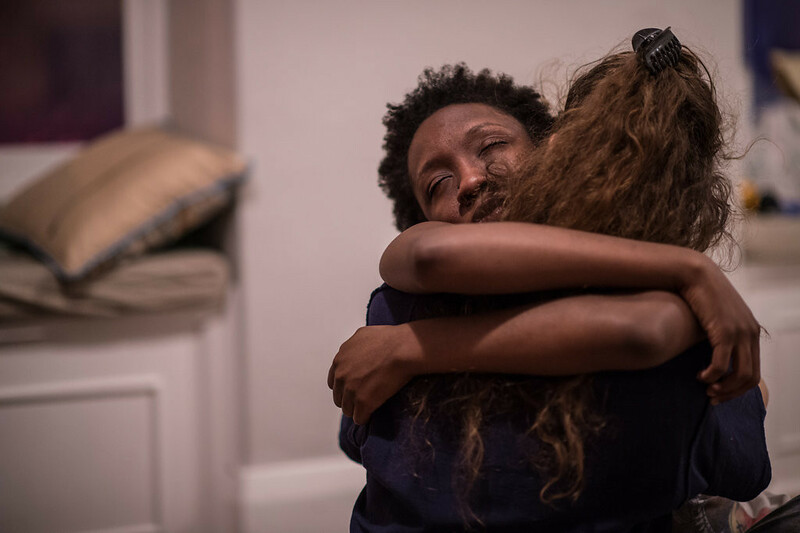 A drunken night between two best friends (played by Sochi Fried and Virgilia Griffith, both brave, exposed and extraordinary) leads to this morning after- a brutal awakening from which they can’t come back. At once personal and philosophical, Phokeev’s text beautifully explores the limits of intimacy and the confusing consequences of living in a world where the newly embraced realities of sexual fluidity makes true platonic connection a more precious commodity than ever before. The workshop production (staged in someone’s apartment on the Danforth) is a glorious piece of theatre that I can’t wait to see remounted in a larger context, though hopefully not too large because, as strange as it is to see a play in someone’s bedroom, the immediacy of intruding into the characters’ space lends the play even more power. Written by and starring the bold and brilliant Meghan Swaby, the latest from Obsidian is a pressingly contemporary deconstruction of ancient myth and sadly not-so-ancient history. Director Philip Akin (who reveals stirring empathy with a piece theoretically better suited to a female director) pairs with movement designer Esie Mensah to create a vibrant, engrossingly physical production anchored by three superb performances. Akosua Amo-Adem is hilarious and unconquerable in a plethora of roles alongside Swaby as the titular modern day inheritor of the physical scrutiny faced by Khoikhoi women in the 19th century (and now so generously bestowed upon all women, but especially black women as it relates to the fetishization of the booty). The women are intriguingly placed in contrast to a perfectly cast Kaleb Alexander who aptly represents the idealized male form then twists it on its head by playing a little girl and a woman whose boyfriend wishes for more curves (as much as women are derided for having too much “junk in the trunk”, a “boyish” figure is also deemed undesirable, even if it comes with a six pack). Lighting and projection work by Kaitlin Hickey and Joe Pagnan’s excellent set and costumes help create a rich world even in multiple time periods jumping between fantasy and reality. There’s a thrilling cards-on-the-table intensity to Venus’ Daughter and its star performances that shouldn’t be missed. Arguably the best work so far from the uneven Michael Chekhov-inspired Seven Siblings, this Steve Martin comedy embraces the larger-than-life performance habits of the company regulars and director Erika Downie smartly turns them into an asset. The perfectly chosen immersive space at Round in Kensington market provides detailed production design without the fuss and Will King delivers a wonderful high-wire comedy act as the play’s standout (by a mile) character Albert Einstein. Andrew Gaunce is a hoot as a bizarre foghorn of a character named Schmendiman but there isn’t much else to write home about performance-wise beyond King. Martin’s play is (as you’d expect from him) remarkably silly but it’s a fun chance for the company to play around with caricature and broad comedy with low story stakes and high entertainment value. This rarely produced Tennessee Williams piece is anchored by two strong performances from Matt Pilipiak and Nicole Wilson as damaged siblings using theatre to hide from the world (or explain the world?). Lindsay Junkin’s set decoration is engagingly detailed but I never quite engaged with the play itself, its fantastical ambiguity putting up a wall through which it’s nearly impossible to follow the characters’ psychology. 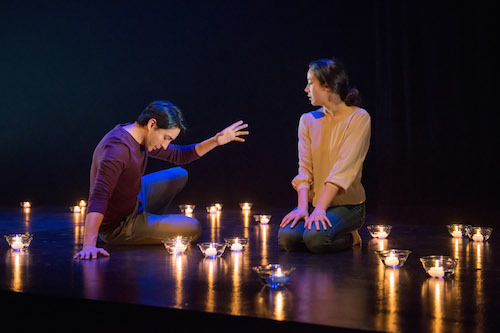 I love the concept director Ravi Jain has used to approach his “naked” production of this Canadian classic- stripping the story of its time and place, staging it cleanly and quietly on a bare stage filled with gorgeous candle constellations. Kaileigh Krystofiak’s lighting is divine and the addition of stage left fixture Ania Soul providing live music and narration works perfectly. I wanted so badly to love this production because, intellectually, I admired it so much. But I honestly just found it boring. The stillness of the interpretation could be so incredibly effective if the space and silences were filled with subtext and heat but I felt nothing between Kawa Ada and Mayko Nguyen as Jacob Mercer and Mary Snow. 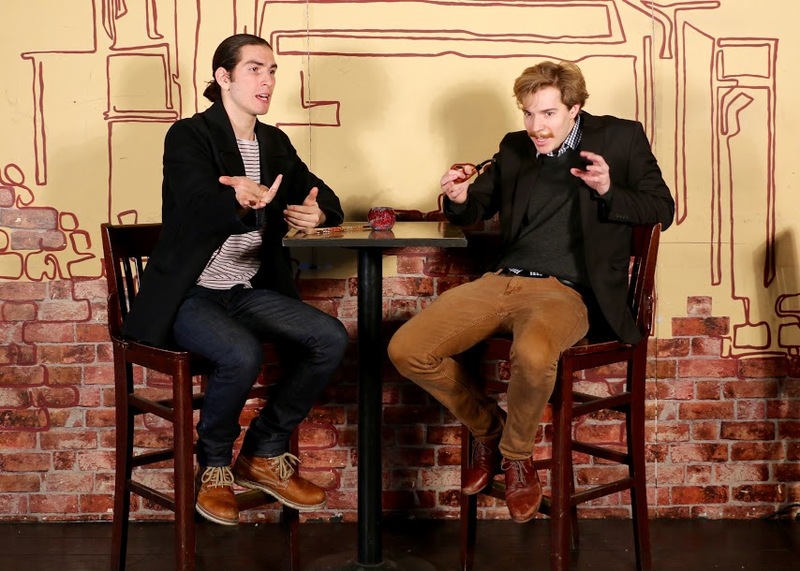 Both actors have an extremely thoughtful, elegant stage presence which creates dissonance when the text’s regional eccentricities come into play and adds distance to their physicality when all I wanted was to see the magnetic pull drawing them back together. I wanted her eyes to have trouble leaving his and his hands to be itching to reach for hers. I like the idea of careful restraint for these characters whose love is so scarred over with distrust but I wanted to see them fighting the instinct to run into each others’ arms. Artistically well conceived as it is, this production never convinced me that either character ever had that instinct. I appreciate Acting Up Stage’s dedication to producing underproduced musicals. Though it’s not a favourite of mine (only one song is particularly memorable and I don’t think the story is much illuminated by being told musically), Grey Gardens won multiple Tonys back in 2007 but had all but disappeared since then so I was very glad to see it chosen by one of the only musical theatre producers in the city (who desperately need to expand their programming beyond just one major production a year). Unfortunately, director Ann Hodges does little to add artistic interest to the piece and the sad story of mother-daughter shut-ins Edith and Edie Beale is presented almost just like the documentary that inspired the musical- strictly factual with little commentary, consideration or serious character study. The lack of character development is so dire that Lisa Horner (who plays both Edie and Edith in two different timelines) appears to have melded the two characters into one person, having little in common with either Kira Guloien (vague but lovely as young Edie) or Nicola Lipman (hidden by her cat lady trappings as older Edith). 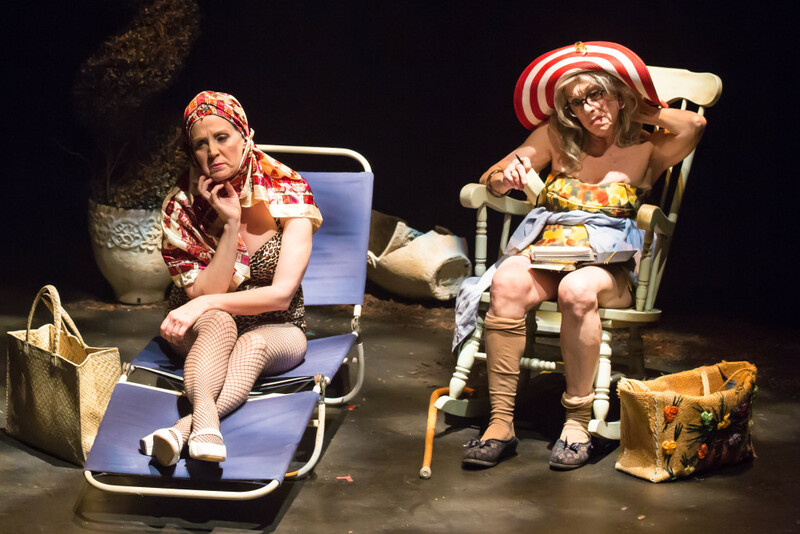 The production values from Acting Up Stage are always top-notch but Grey Gardens has neither the directorial artistry nor the overall performance standard I want to expect from a company this renowned. Oleanna is tricky business. Mamet always is but Oleanna, in particular, is tricky business. It requires absolute mastery of the playwright’s demanding language and precise pacing or the intricately constructed ambiguity of the character interactions gets undermined. The actress playing Carol needs to seem thoughtful and trustworthy while the actor playing John should be careless, casually commanding and kind of scummy for the plot to make any sense… unless your view of the play is as a fundamentally misogynistic piece of work about a vengeful shrew (in which case, you should not be producing the play at all- plays about misogyny, fine; misogynistic plays, not fine). This production accomplishes none of the things necessary to make Oleanna the true, sad, complicated play it can be but almost never is.